As part of our continual commitment to providing exceptional dental care to our patients, we’re delighted to welcome an outstanding new team member, Dr Rafaela Rogers, to Anchorage Dental Care! Rafaela is able to provide high-quality, comprehensive dental care to her patients. She completed her Bachelor of Dental Surgery at Stellenbosch University in South Africa in 2000. Rafaela furthered her dental education by completing the Royal College exams. 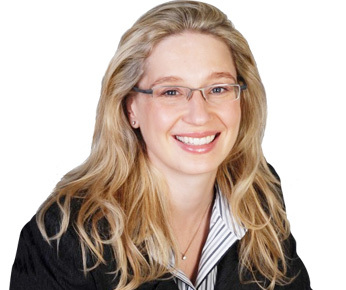 She has a particular interest in periodontology and clinical and restorative dentistry. Rafaela achieved gold medal standard for periodontics and leadership, and had a research paper published in the South African Dental Journal in 2000. Passionate about creating functional and beautiful smiles, Rafaela completed a course in Advanced Cosmetic Dentistry in London. Rafaela practiced in the UK for 14 years and owned and developed her private dental practice. In addition to providing excellent dental care, she takes a caring and empathetic approach to her patients. Her steadfast dedication to patients has made her a sought-after dentist in Perth. Living in beautiful Perth since 2014, Rafaela enjoys an active lifestyle and is involved in her church and local community. Rafaela looks forward to caring for you and your family at Anchorage Dental Care. Contact us today to schedule an appointment with her!